It was one of those days when everything random converged. The evening before, our friend who devoted a long career working with youth at risk talked to us about another friend, a Khmer Rouge survivor, who has spoken to several of my classes. The first time he told his story, he traumatized my freshmen by telling them about a woman bludgeoned to death before her colleagues for asking for more food. He finished the story with a laugh. My students couldn't get over his laugh. It assumed more importance to them, it seemed, than the story itself. “He shouldn't have laughed,” more than one told me. That day things converged, call it last Thursday, I awakened to an on-line citation of a memory card of my own, plucked at random by Joseph Harrington from my new book, based on a story told to me by a man who works as a prison psychologist, whose mother was in the same Alzheimer's home as mine. “He tells me about a [Cambodian] prisoner, 72 years old, stuffed inside a suicide shirt, who screams in Khmer that someone is beheading him.” And at noon, I attended a talk at the Biography Center at my university by Sydney L. Iaukea, whose new book is The Queen and I: A Story of Dispossessions and Reconnections in Hawai`i. Iaukea is a political scientist writing about the trauma of Hawaiian history, the effects of those traumas on extended families like her own. While Iaukea spoke about what she had learned about her family, her family's selling of their land, her great-grandfather's relationship to the last Hawaiian Queen, Lili`uokalani, what impressed me most, in the context of teaching a course in documentary poetry, was her discussion of the archive in emotional terms. My students have discovered that working with documentation does not cut the emotional charge of their projects, but compels it. As Iaukea writes, "To recognize the loss of land as the loss of self is an enormous and very personal endeavor, one that makes historical occurrences very real." The archive offered her a renewed sense of these losses, some of which had been kept secret from her growing up. Now I feel guilty for misplacing my anger on my poor dog. The book is full of pain, for which there is no relief. 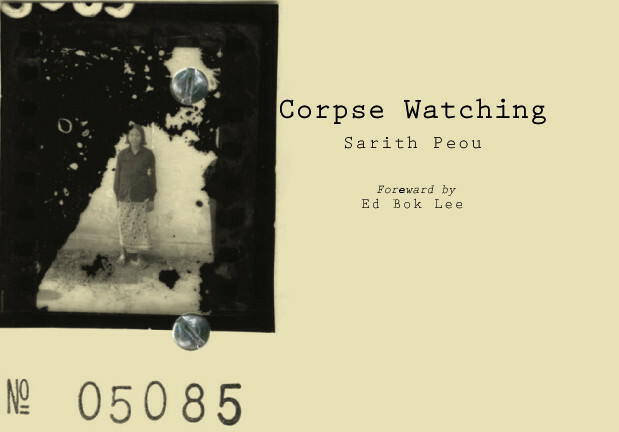 The full manuscript was at least three times longer than the Tinfish Press chapbook, and Sarith Peou has also written a huge memoir, which is in manuscript. If Peou's writing cannot heal him, then it can traumatize its reader into awareness. His archive, and the archive of photographs, draw in the Israeli designer, the American adoptive mother, and anyone who reads the book. The awful Cambodian decade of the 1970s and its aftermath also drew in the Australian poet, Adam Aitken, who lived with his wife for a year in Cambodia. In “Forest Wat, Cambodia,” he writes, “Who knows if suffering's inquiry leads you anywhere / but back to suffering?” (Eighth Habitation, 86). He stands in a train station, considering the landscape itself as aftermath to genocide: “The tracks were ripped out years ago / by lads who knew more about suffering than we ever will. No end to it.” He notes that history cannot stop itself, even in the face of such trauma. at the spattered tiles and the ripped out wiring. In Peou’s poem, “The Unfitted,” a Khmer Rouge boy at a Traditional Medicine Center is given a pen and paper. He exclaims that the boy draws so skillfully, even as he draws the engines of death, bodies of the dead. The connection between art and genocide is what Adam Aitken calls a “chain-link of paranoia.” It may not ease suffering, because as Aharon Appelfeld writes in The Story of a Life, “Words are powerless when confronted by catastrophe; they're pitiable, wretched, and easily distorted. Even ancient prayers are powerful in the face of disaster.” But the chains at least have links. Appelfeld: “I learned how to respect human weakness and how to love it, for weakness is our essence and our humanity.” It is as record of this weakness that the archive emerges not simply as a place to leave our documents, but also to grieve over them. We may not fully remember ourselves or our histories, but we will see the pieces better for it.